(BPT) - The cold months of winter have a batten-down-the-hatches feel to them, don't they? Fortunately, they're over. Now that summer is here, you want to spread out, bask in the beautiful weather and finally tackle those home improvement projects you were eyeing during those colder months. Now is the perfect time to make a big impact on your home, and you can do so without spending a lot. Below are five do-it-yourself projects you can tackle in a single weekend, and each will still leave you enough money in your budget to enjoy everything else summer has to offer. * Freshen up your landscaping. Your home’s outdoor appearance gets a pass during the winter, but in the summer the exterior of the house is all about curb appeal. That makes improving your landscaping a great place to start your summer projects, plus the work you do can be completely customizable to your budget. If you have some extra money, plant a tree or a bush. If your budget is tighter, opt for potted flowers. Even an activity like trimming around your trees and bushes or pulling weeds can have a big impact on the look of your home and it costs you nothing. * An accent wall that truly accents. You’ve seen hundreds of DIY tips suggesting you add an accent wall to your home with a fresh coat of paint. However, to add an accent wall that goes above and beyond, replace the paint project with Charred Wood Shiplap from UFP-Edge instead. This wood, burnt through an ancient Japanese technique to highlight its beauty and character, then sealed with a satin finish, offers the perfect contrast to any room for an accent you'll relish every time you see it. * Update your bathroom on your terms. A full bathroom remodel is hardly DIY, and you’re certainly not finishing it in one weekend. However, that doesn’t mean this room is completely off-limits when it comes to improvements. Instead, pick the project that matches your needs and your budget. Large-scale improvements could include replacing your outdated sink or toilet. You could go smaller and simply replace the hardware on the sink. This is also a great time to look at the smaller aspects of your bathroom and see if you want to replace your medicine chest, your towel rack or the handles on your cabinets. * The perfect wrap for your kitchen or bar. The kitchen is a focal point in any home, so improvements made here tend to stand out. If you’re looking to improve your kitchen with an incredibly popular country look, you can add your island to the motif with a rustic wrap. UFP-Edge Rustic Collection is new lumber that has been distressed to provide that worn country charm. 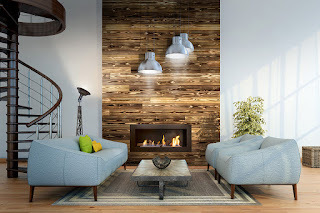 Rustic wood is available in shiplap siding and trim boards that allow you to create a wood project that supports your style in any size and any location. Start with a wrap for your kitchen or bar and see where your creativity takes you. * Rethink your window treatments. Like your bathroom, a full-scale replacement of your window treatments can be pretty expensive. However, like your bathroom, you also have plenty of freedom to pick and choose your options here as well. If a favorite room feels too dark, replace the existing curtains with something light and airy. If you want the room to feel darker, install room-darkening shades. Spend your money and your time on the rooms that matter most to you and you won’t be disappointed. These warm-weather months are the perfect time to make your home everything you want it to be, so invest your time in a little DIY. You, your home and your budget will all be better for it. 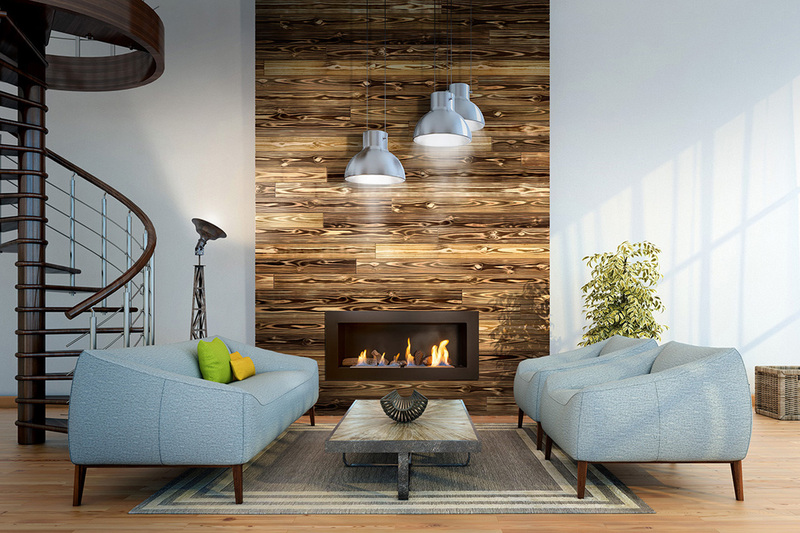 To learn more about these accent wall materials available from UFP-Edge, visit UFP-Edge.com.